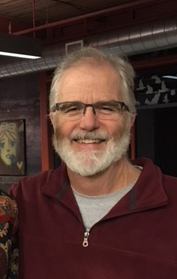 Rich Bradley retired as Associate professor from the OSU branch campus Marion in 2015. He now volunteers at the museum, e.g. curating and databasing the Ohio Spider Collection and helps with accessioning his recordings of sound recordings in the Borror Lab of Bioacoustics.